What makes a summer camp? What makes the perfect summer camp? 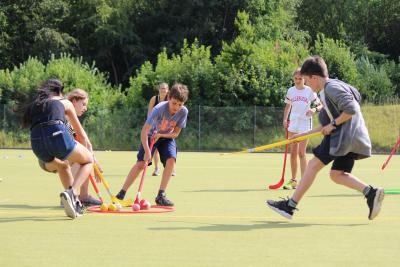 We use some of the UK’s top boarding schools to host our summer camps and English schools. All three venues have plenty of green space and they boast fabulous facilities including a 500-seat theatre, state of the art sports halls, a lake and cosy dormitories. Every year we receive around 1,000 applications to work at our camps. It’s tough getting a job with us as we only want the best staff working at our camps. Team members who can deliver high quality activities, be role models to our campers and people who we can trust! Our staff go through a lengthy application process which includes a detailed application form, three-hour group interview, references checks, DBS checks and the police barred list check. We need to be ensured that they will be an asset to the team and help us to deliver to magic of camp, ensuring every camper has the summer of a lifetime! We are very fortunate to have campers coming from all over the world, creating an international atmosphere. Our team would say “you get out as much as you put in”, so we love campers who come to camp with bundles of enthusiasm, willing to challenge themselves and step out of their comfort zone. Campers who like to mingle with other campers and make friends with others from around the world will have the best time. As much as it’s lovely to have the security of friends who speak your native language, those who want to learn about other cultures and make friends for life from around the world, will have the best experience! Whether campers come to our English Summer School, Specialist Activity Camp or Multi Activity Camp, you’ll take part in so many amazing activities. You are bound to have tried some of them before but there will be plenty that are new to you. Camp is the perfect place to discover new talents and passions! We believe that our afternoon choice sessions offer something for everyone, and our campers are spoilt for choice. It’s hard to describe the atmosphere at camp to somebody who hasn’t been there before. To so many of us it’s home, the place we countdown the days until we are back there. It is a safe place where you can be yourself, have so much fun in a cosy environment. You can walk into our Common Rooms and hear laughter, campers from all around the world playing games together and chatting.